Click on the checkbox pentagons to color the regular pentagons in the tiling. Click on the checkbox octagons to color the pentagons in the tiling. Click on the checkbox model octagon. You'll notice that the octagon is formed by two regular pentagons partly drawn upon each other. Define the midpoints of all pentagons and connect the midpoints of all tangent polygons. Click on the checkbox girih tiles. 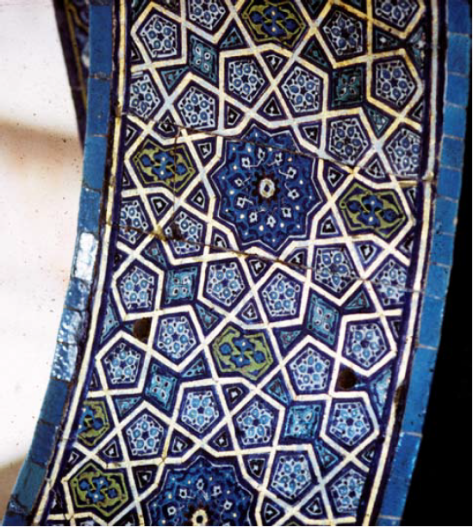 You can see that the connecting segments coincide with the girih pattern.